Learn Italian 6000 Words is an extremely popular Italian language learning and vocabulary app that has garnered positive reviews from existing users. The developers recently redesigned the app and re-launched it through Google Play Store. Learn Italian 6000 Words, a Fun Easy Learn software product, recently underwent a complete makeover. The developers at Fun Easy Learn completely changed the design of the much popular Italian language learning app and re-launched it through Google Play Store. They said that the new design of the app is more appealing to the eyes, more minimalistic and cleaner than that of all the previous versions of the Italian vocabulary app. They claimed that the newly designed Learn Italian 6000 Words will make Italian language learning easier than ever before for the new learners. Speaking about the significant changes in the design layout of the Italian language learning app, one senior app developer from Fun Easy Learn said that the new material design UI has been chosen after careful consideration of usability factors. He claimed that the primary aim of his team was to make the app compatible for Android app. He also added that 10 more native languages have been included in the database so that more number of users find the app suiting their needs. He also said that the app has been downloaded by more than 500,000 people till now and they want to reach a new milestone in terms of number of downloads. “People who want to learn Italian always look for minimalist apps with sleek UI. We know language learning is a time-consuming process and Italian language learning may become a royal pain if the users are using a badly designed app or software product. It’s not that the previous design was any bad but we tried to improve it even more. 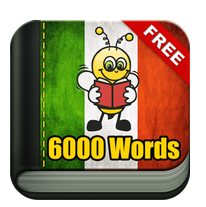 The end product is the newly designed Learn Italian 6000 Words app that can now be downloaded from the Google App Store. Of course, existing users will get free upgrades if they have auto-upgrade option enabled on their mobile phones”, said the CEO of Fun Easy Learn. We have also fixed a few bugs and have improved the database images”, he added. Fun Easy Learn is a reputable software development firm having their expertise in designing and developing language learning apps.